On the first Sunday of Lent, we celebrate the Sunday of Orthodoxy, that is to say the feast of the restitution of the holy icons, as the Church once again, by the grace of God, vanquished the heresy of the iconoclasts and preserved with exactitude the faith and the tradition of the Holy Fathers of the Church, as it has been preserved throughout the ages. This faith has as its result the healing of humankind, our salvation and deification. Reverencing the holy icons is proof that we confess that God became a describable person, that the Word of God was truly incarnated and became a person, but also that people truly become children of God and vessels of the Holy Spirit, temples of God and members of Christ. We reverence the holy icons of the Saints and their holy relics because God dwelt in them. So we celebrate the restitution of the holy icons and have the blessed custom of carrying them in procession, of honouring and embracing the icons of Christ and Our Lady and the Saints of the Church. And since our topic is icons, let’s remember the icon par excellence, the icon of God, the human person. 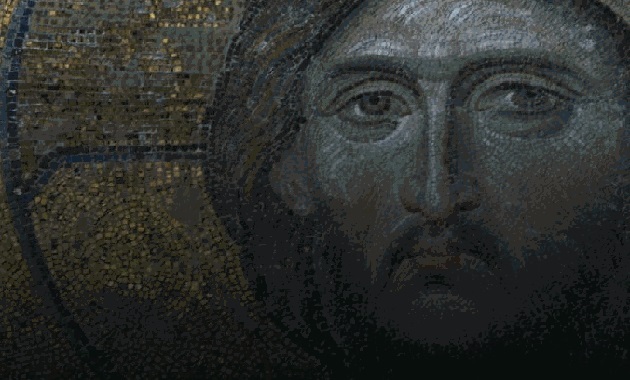 The first to make an icon or image- one of Himself- was God. And this icon is the human person. God said: “Let us make a person in our image and likeness” and, indeed, the human person became an icon of the Triune God, an icon of the invisible God. We can see this image of God. The human person is the most beautiful and lovely of God’s creations. Had God wanted to make something better, He’d have done so. His image, the human person, was the best He made. 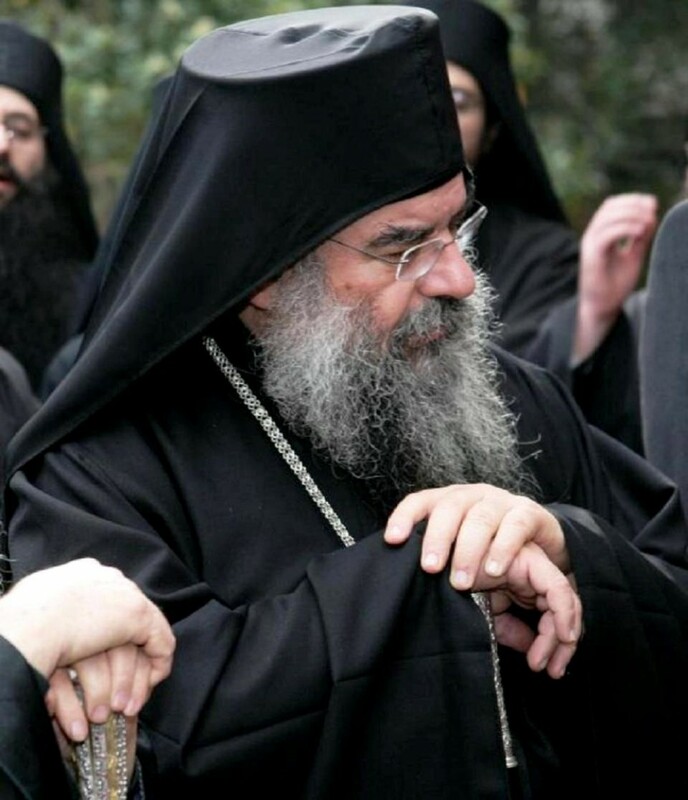 But this most beautiful icon of God, which had within it all the gifts which God had given it during its creation, was, unfortunately shattered, broken, because the devil was able to smash it. The iconoclast struggle wasn’t a phenomenon of the 7th century. It began from the first appearance of the human person. The devil instigated a war against God’s icon, against the human person, and managed to shatter it, to make it fall into death, into sin, to make this beautiful image distorted, to the extent that it was no longer testimony to God’s beauty, but instead something which had become ugly, full of passions and sins. But God didn’t wish to see His image languishing in misery, He didn’t want to see His icon, which He had made with so much love and care, become lost in the desolation of the fall and of sin. And so He Himself became human and the model of our salvation. And to help us rediscover the beauty and comeliness of our creation, when we left His hands, He created the Church, through which, first and foremost, He gives the grace of the Holy Spirit. The task of the Holy Spirit is the renewal of our corrupted nature and our rebirth. This rebirth is achieved through two factors. The first is the grace of the Holy Spirit and the second is human freedom. This is how God remakes us. First and foremost through the mystery of the Holy Spirit. When we’re baptized, the great mystery of our remaking is performed; we cast off the old person and put on Christ, the new person. Thereafter, with the power of the Holy Spirit which is given to us through the Holy Chrism, we’re energized and receive strength, so that the gifts we’ve been given through baptism and chrismation can be activated to produce spiritual fruit, to glorify and sanctify us. On God’s part, everything has been done perfectly and in a manner befitting Him. God has made our salvation and has finished His task; it’s now up to us how we make these gifts our own. People who are baptized in the name of the Holy Trinity, in the Church and through the Church and anointed with the Holy Spirit are thereafter persons reborn in Christ, who can now move forward and activate within themselves the gifts which God has made to them. So we’re all baptized with the grace of God. It matters not whether we’re infants when we’re baptized, because baptism isn’t the result of our own will and our own intellection, but is the result and action of the Holy Spirit. It’s what happens after baptism that requires our cooperation and consent. At the time of baptism, there’s no gift that God doesn’t give us. He regenerates the person in toto, reshapes them and really does clothe them in Christ. And so we begin our struggle, and since God doesn’t act by magic, nor does He eradicate human freedom, this is why our own freedom is needed: to work with the grace of God. The spiritual struggle we engage in from the time we become aware of ourselves in the course of our lives is precisely how to activate those gifts we received at baptism and which, of course, we have from our creation. 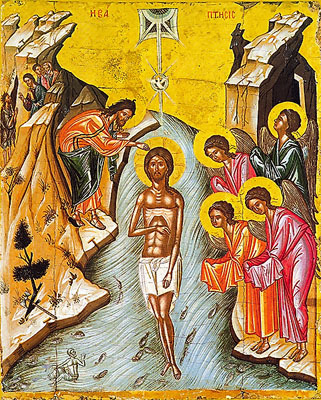 It’s because we’re wounded and in thrall to sin that baptism’s necessary for us and why Christ was adamant: “everyone who believes and is baptized will be saved”, because baptism is necessary, together with faith, for us to be saved, since without them we can’t be reborn. And so the struggle begins and it’s the struggle against iconoclasm. It’s a struggle of Satan, of the sin of our environment, of ourselves against the image of God, against the icon we bear within ourselves. How will the devil shatter the image of God we have both by our nature and from our baptism? Sin is what destroys the image; that’s what sullies the image and mars it, which makes people fragmented and unable to function naturally, as God made us. Sin is essentially captivity, it aims directly at our freedom and kills it, which is why it’s an insult to God and to the person. People who are subject to sin don’t have freedom. At every point where we’re defeated by sin, that’s where we’re slaves of sin. After that, the love that we had because we were made in the image of God, which was directed to God and through God to the world and creation and to our fellow human beings, becomes a passionate love, idolatrous and corrupt. As regards the creation, it becomes idolatry and as regards the passions it turns to sensuality, ambition and avarice. The person, who was so beautiful, as made by God and, above all, free, is now a slave and captive in these bonds. Although we’re baptized and sealed with the Holy Spirit, though we have within us the seeds of the beauty of God, we still have to provide our own co-operation in order to germinate all these seeds. How can people remake this image of God and see the great beauty they possess by nature, by their very creation? This is why this spiritual struggle on the part of the Church is so significant, because we know that the aim of the struggle is to restore the icon of God which has been shattered. Particularly at this period, the Church mobilizes all its forces to help each of us to complete our own struggle and aim. The Church has spiritual weapons and medicines, because it’s a spiritual surgery; it has the equipment to rid the body and soul of disease and knows how to give people their health. So fasting, prayer, vigil, almsgiving, confession, participation in the sacraments, the Divine Eucharist, everything the Church offers are the medication that destroys evil. The presence of God in the Church reworks our image for us and we really do become as God made us, image and likeness. This takes place when a person enters the realm of grace. And the people who succeed are those who find the key to enter the Kingdom of Heaven, people who’ve learned repentance, who’ve been able to change their way of thinking and have humbled themselves. Let us keep this icon of God before us and fight against the iconoclasm of the devil, who wishes to break the image of God with which we were clad at our Holy Baptism. Source: The periodical Παράκληση of the Holy Metropolis of Limassol, Cyprus.